Play Marimba! offers a joyful music making experience for children, teens and adults. 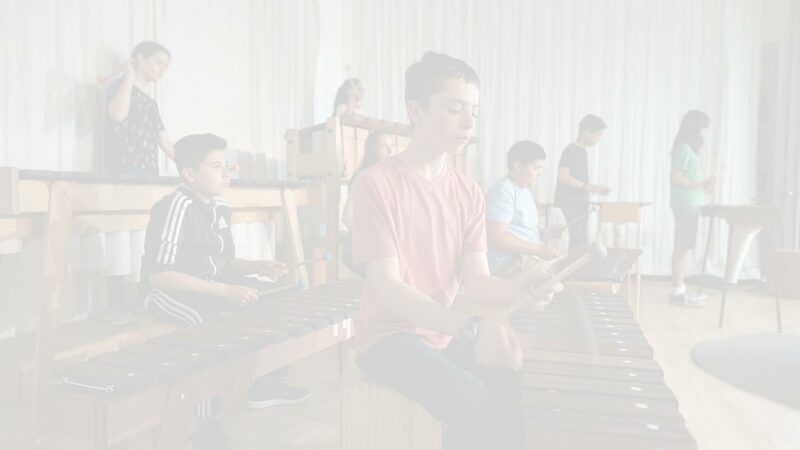 Using enormous African marimbas we engage in a technology-free social experience that builds confidence, mind-body coordination and teamwork. Beautiful songs from around the world serve as a vessel for deep study into the nuances of rhythm and melody. Through effort and focus we can achieve amazing results. Please join us! The Play Marimba! program was founded at Loma Vista Immersion Academy in Petaluma, California by school principal Jorge Arvizu and musician Tobias Sparks. The program started with 15 students in 2016 and has grown tremendously, now serving over 130 students per year. Loma Vista is a dual immersion English-Spanish school with a 70% hispanic population. Taking into consideration the heritage of our students, the program integrates traditional hispanic music into our diverse curriculum. In the fall of 2018 we expanded our classes to the Sebastopol Cultural and Community Center as well as launching our 7/8th grade afterschool program for graduates of Loma Vista. Ambuya, Sebastopol Student group and the Play Marimba Band! Known at a young age for his innovative musical style and improvisational ability, Tobias Sparks now dedicates his time to bringing up the next generation of musicians. Performing and teaching for over 20 years, he has collaborated with many singers, dancers and musicians and is featured on more than 25 CDs and DVDs of diverse genres. Tobias’ love of music has taken him to many corners of the earth studying with master musicians in India, Egypt and Turkey. 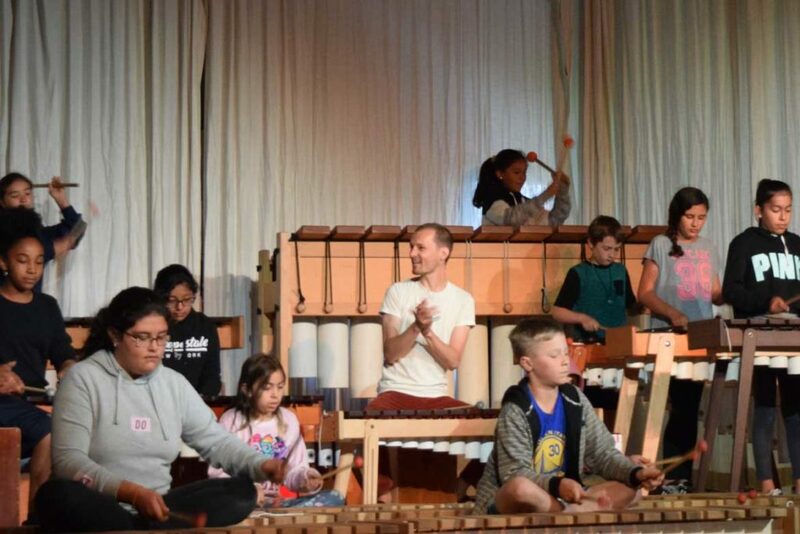 He currently lives in Sebastopol composing music, building marimbas and directing the Play Marimba! program. 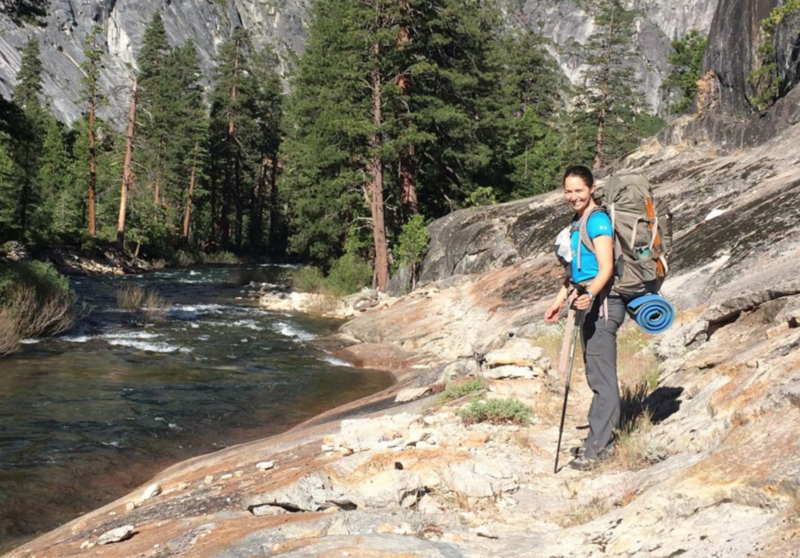 Irene grew up within the network of public school music programs in the East SF Bay, studying flute and piano for a decade into early adulthood. Other academic pursuits took priority for many years, leading her to become an elementary school teacher at Loma Vista in 2016. There, she was quickly drawn to its budding marimba program, consequently rediscovering her enthusiasm for making music. She continues honing both her teaching and music skills as a participant in Play Marimba’s performance ensemble, and as an occasional substitute instructor for Play Marimba’s other youth classes.